By J.S. Sooner, SASS #73526, April 2, 2018 in SASS Wire F.A.Q. 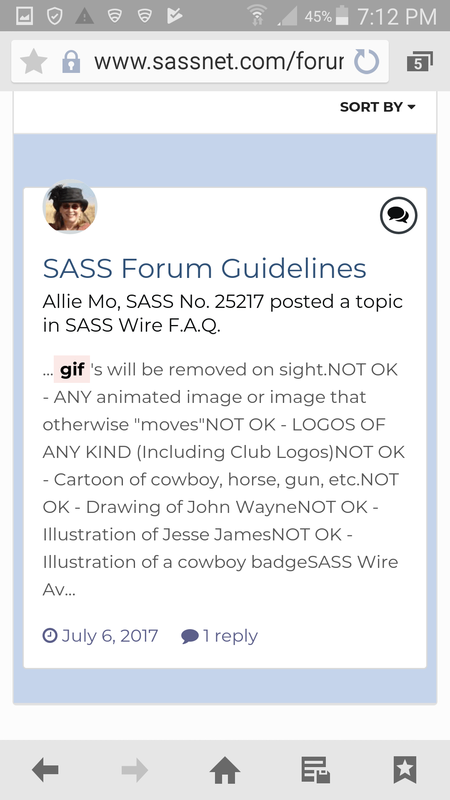 I thought forum rules didn't allow Gif's and moving emojies. Has this changed?